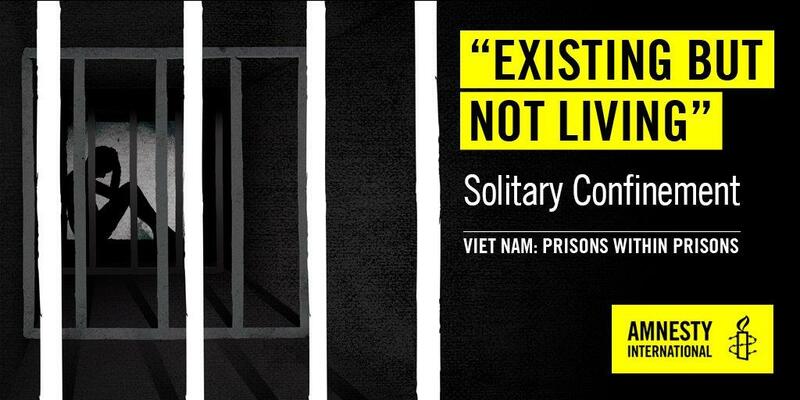 A new report published by Amnesty International today casts a rare light on the torture and other harrowing treatment of prisoners of conscience locked up in Viet Nam’s secretive network of prisons and detention centres. In June, Amnesty International was given a guided tour of a women’s prison facility in Bắc Giang province, a rare occurrence in a country that does not generally permit access to these facilities. ‘Dar’, an ethnic Montagnard, was arrested for organizing peaceful demonstrations over religious freedom and human rights. For the first three months following his arrest, his family believed that he had been killed by the authorities, and his body dumped in the jungle. He was tried and convicted without legal representation and without his family present. For many of the former prisoners Amnesty International spoke to, the torture and ill-treatment was especially intense during pre-trial detention, as authorities aimed to extract a “confession”. Tạ Phong Tần, who was imprisoned for her blogging and advocacy activities, told Amnesty International that during her four years in prison, only her sister was allowed to visit her. After being denied access twice, on 30 July 2012 Tần’s mother Đặng Thị Kim Liêng self-immolated in front of a government office in protest, dying as a result of her burns. “Viet Nam’s authorities should seize the moment as the country’s amended penal and criminal procedures codes are being reviewed. Now is the time to make good on their international obligations, by bringing to book those responsible for torture and other ill-treatment, and ensuring this appalling practice ends,” said Rafendi Djamin.